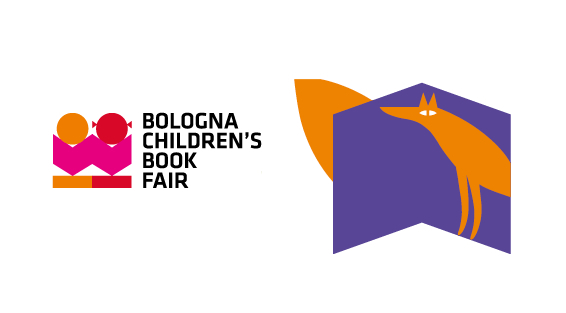 There can’t be many peoples and creatures, real or imaginary, not represented on paper at the visual feast that is Bologna Children’s Book Fair. The queues of hopeful young illustrators clutching portfolios wind around the stands like a dragon’s tail, leaving the rest of us to wonder at their endless creativity. 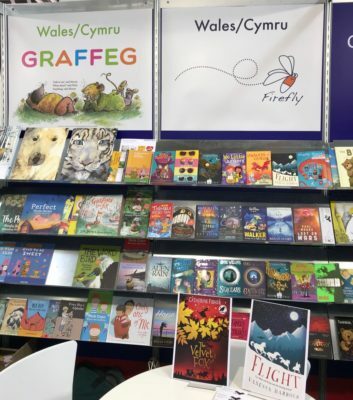 While picture books adorn the stands, the three or four halls of books from all corners of the world offer a concentrated version of LBF – bringing together people in children’s book world from as far afield as Myanmawr, Melbourne, Moscow and Miami, and all around the UK. Thanks to many lovely sponsors, Firefly Press sported shelves full of books on terrific Publisher’s Association stand, (complete with its very own room of requirements) and it was thrilling to introduce editors from many and varied countries to our titles. Of course, Golden Egg authors featured prominently for us, not least our very own Vanessa Harbour and Jennifer Killick – and who wouldn’t love to see a feature film of Alex Sparrow or Flight one day!! But there was also the delight of exploring the stands from so many other cultures and wondering at their offerings. I spent happy times wandering through everywhere from the frost giants of the Nordic countries in Hall 26 to the hot streets of India, tucked away somewhere on Row A of Hall 25. It’s not just the excitement of targeting our titles at new languages; it’s also the possibility of what stories we can bring home from other cultures that spark the imagination. Three days of this is of courses exhausting, but the Firefly team, represented in Italy by our terrific publicity and marketing manager Megan Farr, commercial director Robin Bennett and myself, was as always hugely supportive and we left, weary but full of new ideas for the next chapter…! Penny Thomas has always been a compulsive reader and was never out of the library. 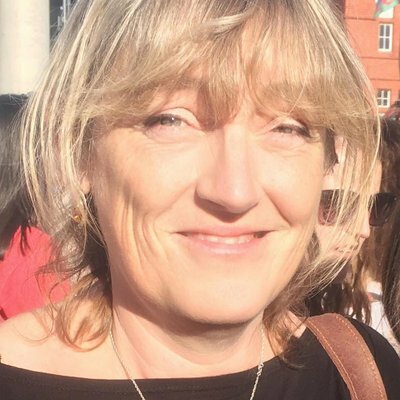 She took a degree in English Language and Literature at Keble College, Oxford, and worked as an editorial assistant in London before moving to Cardiff to train as a journalist in 1988. After fourteen years in regional journalism, and two kids, she took a proofreading course and realised publishing was for her. She has since freelanced for many great presses and spent 11 years as fiction editor for Seren Books before starting Firefly Press.